Well, I just got back from GDC and this year it was even more awesome then the previous year. 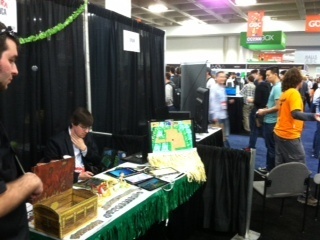 UAT sponsored our team, Alchemica to show off our game at the GDC play. We were directly in the middle of the Game Developers Conference, Moscone Center North Hall. As a team we got to show off our game to industry professionals. This is a picture of our booth in the GDC play area. We were next to a bunch of other teams showing off their awesome games. When I wasn't helping at the booth i was wandering around looking at the new games, new technology as well as being able to talk to potential employers at the various booths. besides looking for job opportunities I went over to the riot booth to get a review on my portfolio. That was one of the coolest experiences I had, talking to one of the lead character artists at riot games. After I spent hours wandering around GDC checking out cool stuff, winning prizes and various other swag, I was lucky enough to obtain invitations to some of the mixers and after parties. Two of the most memorable after parties that I had the pleasure of attending was the Epic party held on the 39th floor of the Marriott Hotel and right after was the Blizzard party which was on top of another building. I met some awesome people, got some great advice and had a lot of fun. 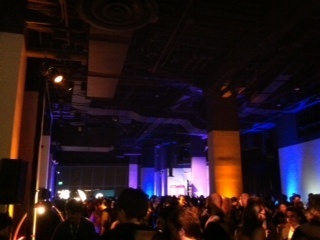 This is a picture at the Blizzard party...Did I mention it was awesome? Cause it was. By the end of the party I had three bags of swag to take home. The last day of GDC was sad cause it was over but happy because of was exhausted from the week and I was ready to go home. before we left for the plane, a couple of us went down to the wharf to get some crab, and it was delicious. 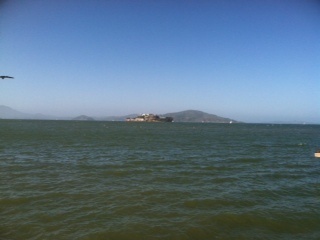 While I was at the wharf I took a picture of Alcatraz. It was an overall great experience and I am looking forward to going back next year. Now that I am back it is time to connect with the people I met and start applying for jobs, wish me luck!